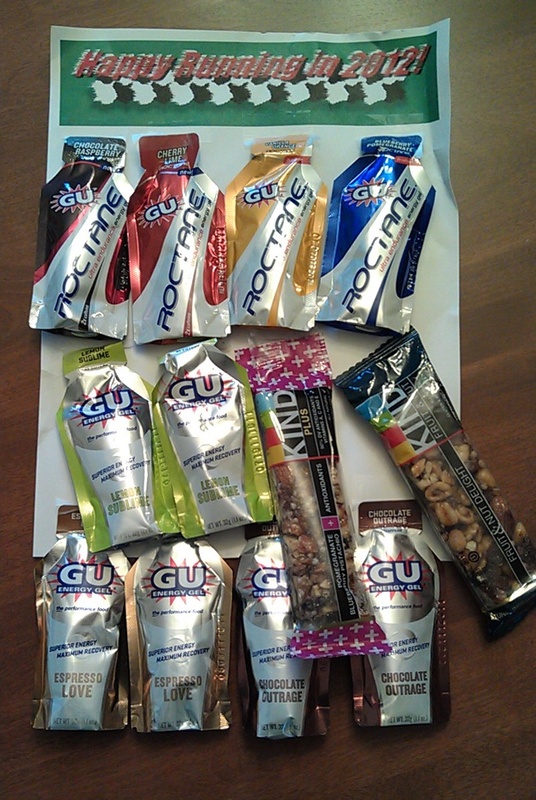 Yesterday afternoon my friend and colleague KWL presented me with a thoughtful holiday gift: GU and Roctane gels plus Kind bars. I really appreciated it and loved the presentation. The banner at the top says "Happy Running in 2012!" That's the spirit! I'm hoping that next year KWL and I will match or exceed our running and biking adventures of 2011.